After a short video explaining the history of Bart’s and its founding in 1123, this museum offers a crash course in the changing face of London hospitals and how Bart’s developed. 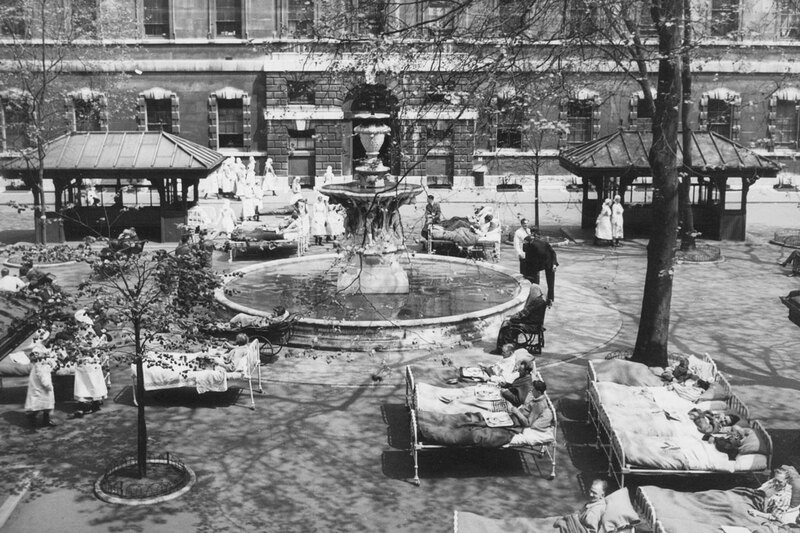 The square at St Bartholomew’s Hospital, London, 1934. Patients at the hospital were often taken into the 18th-century square to get fresh air and sunlight. Find out about the nine-century history of the hospital, established in 1123, at St Bartholomew’s Hospital Museum. Image courtesy of St Bartholomew’s Hospital Archives.